Tracy has come up with the theme of 'How does your garden grow' at Allsorts this week and we have two fab sponsors, A Passion for Stamps and Crimson Cloud . So two cards for me as I wanted to make something with Ruth's lovely products but I also had the one at the top which I made a while ago with this sweet Art Impression image which always makes me think of the nursery rhyme 'Mary Mary quite contrary how does your garden grow'. I paper piece the little girl and created a little garden scene around her with various stamps and Pan Pastels and made a couple of rolled roses from the same DP using the Cricut Mini Close to my Heart Art Philosophy cartridge - it's so quick and easy to cut as many flowers as you want all in one go. My second card uses Ruth's Tonic Passion for Flowers Lily frame die and Lily punch and stamp set which compliment each other perfectly and the soft pinks really lend themselves to the Lilies. The background was created with a mask and perfect pearls and the sentiment an unmounted one of which I have no idea of the origin. The frame and Lilies were all coloured with Pan Pastels. Now for the winners of last weeks candy who is Mags, well done please mail me with your full name and postal addy. A random winner will be selected from all comments left on my blog between now and Friday, so two comments during the week two chances of winning and so on. Morning everyone, hope your week is going well. Afraid I've been a really tardy blogger this week, no post for several days mainly because I've had my head down getting DT work done that needs to head off over to the States so what with work as well time has been in short supply, so apologies for the lack of visits. I know in advance that this is going to sound a tad deja vous as it's another really quick pre work post with a couple of shares. Both were created a few months ago when I was in a bit of a coastal mood..........it must come from living so far from the sea and not seeing it very often. The top one was done with Pan Pastels and a mixture of Stampscape and Sutter stamps and the second one is brayered and sponged using Adirondack dye inks. Have a good Thursday all and thanks so much for your much appreciated visits and lovely comments. Morning Peeps, hope you all had a good weekend. Also welcome to my new followers, it's lovely to have you join my happy gang. Being Monday time is at a premium, dentist shortly then work so I will get right to it and share a couple of cards both using Ignacio's Nicecane images and both of my finished samples have been beautifully enhanced by him. How I wish I could get me head round my Photoshop programme and do the same, I spent ages the other day playing around with it but the best I achieved was a halo around the image with a dark line, so if anyone knows the secret please share. The card base for the top card was created with the Cricut Mini by welding a butterfly border from Martha Stewart all occasion cakes cartridge to a basic square from George cartridge and lightly shading the butterflies with Pan Pastels. 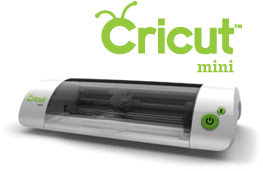 It's very similar to a well know die that is available which I do have, but when you consider the costs comparisons of a single die and how many different things you can do with the Cricut it speaks for itself. 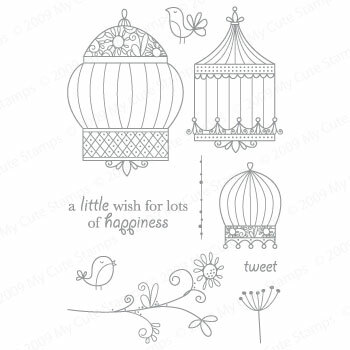 The image is from the Victorian Ladies Bird sheets and links to that as well as the Cricut are on the thumbnails below. This card is a fairly simple make but it's such a lovely image it needs little more than coordinating matting and sentiment. Both of these cards are for my latest box of 50 cards to head off to the Animal Health Trust at Newmarket, I have been donating cards to their Visitors Centre to help raise funds for some time now, I've lost count of how many but it's well into three figures and they tell me they sell well. Hope you all have a good Monday and thanks for popping in, your visits and comments are always much appreciated. Our lovely Sarah would like us to 'Button Up' at Allsorts this week and we have two great sponsors DigiDarla and The Craft Barn . My starting point for my first card above was a bit of an experiment with the 'Thee Fall Leaves' from DigiDarla, I knew what I wanted to do which was colour them with Dylusions but was unsure if the print ink would bleed. So after printing the out I gave them a good blast with the heat gun before spraying with several colours of Dylusions and was so pleaded that the ink stayed put. The panels were just scraps in Autumnal colours, a piece of corrugated and some cord and the leaves held in place with a beaded pin and button. My second card is another image from Nicecrane Victorian Young Ladies sheets. The backing DP is Graphic 45, some lace and ribbons and a piece of muslin dipped into tea to age it and matting and layering using these pretty Grand Nestabilities and of course a button. Hope you all have a lovely weekend whatever you get up to. Morning to you all, hope your week is going well. Just a really quick post from work to share a couple of the cards the girls made in class on Monday. It was only a two hour class focused on Christmas cards so I though instead of stamping we would work with the Cricut Mini as it went down well the other week. They are loving the versatility of the machine as well as it's neat size which as I might have said before punches well above it's weight in functionality. 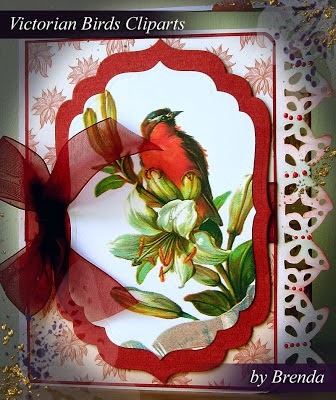 The top card uses images from Christmas Cheer and Celebrate with Flourish, the holly and Sentiment are from Teresa Collins Christmas Holly cartridge. For the second card we concentrated on the welding facility to join the 'Merry' from Lyrical Letters cartridge along with Christmas from the cartridge of the same name and a basic square from George. To crate each poinsettia three flowers were cut in different sizes and assembled with some liuid pearls in the centre and the leaves are from Simply Sweet cartridge. Needless to say the girls loved the versatility of the machine and Joan tells me she has ordered one for the sole purpose of making her Christmas cards although I am confident she will find lots of other occasions when it will come in useful. 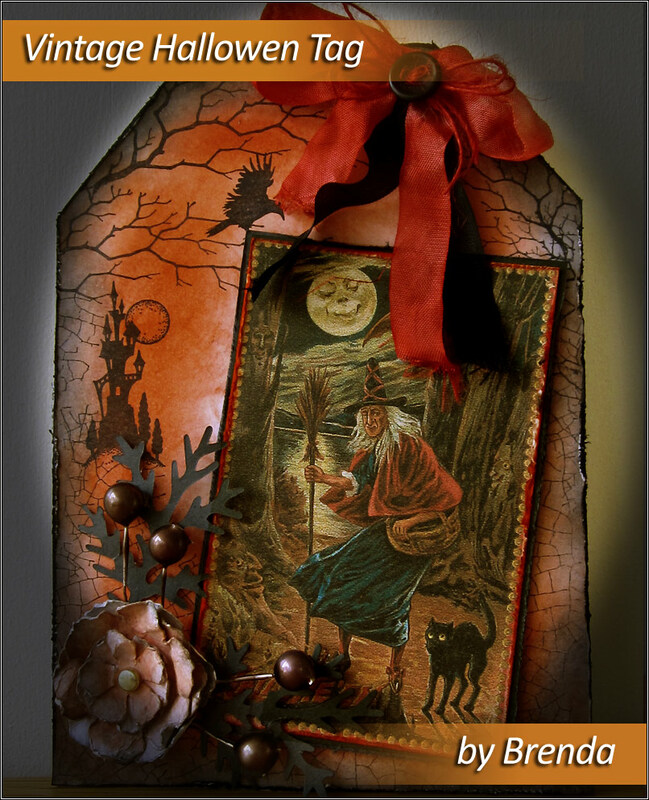 Hello everyone, just popping in to share my mid month inspirational piece for Penny Black and More where we are still going along with the theme of Autumn colours with a sketch option. I followed the sketch and colours at the beginning of the month so this time I have just gone with the colours, they are ones I could happily work with year round. I masked a piece of centura pearl (reverse side) around the edges to create my frame and sponged Pan Pastels to create my background then stamped Penny Black 4271L Winters Ledge with black archival ink and used the edges of the stamps to extend the image cross the bottom and sides. The sunrays filtering in the corner were sponged with red pepper adirondack ink and I have used the first two lines of Keats To Autumn which I printed on the computer. Thought you might also like to see a couple of photos of the help I always get from Poppy when I try and take photos on the utility room steps. I often use that location on duller days as there is good light from the glass door but Poppy always sees it as an invitation to join in and the opportunity for a bit of extra attention. Have a good Wednesday folks. Morning crafty Peeps, I did promise this a few weeks ago so thought I had better get myself organised, a photo taken and posted otherwise Christmas will be here and gone whilst I am still thinking about it. I have split it into two components, the main bundle then a smaller one so there can be two winners. 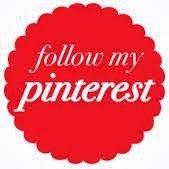 1) Post the photo at the top of this post to your own blog sidebar with a link back here. 3) Be one of my regular followers, or a new one who is here to stay, not just for the candy as I will eliminate any candy only followers from the draw. Good luck to you all, the candy will run until 14th October. What a challenge this weeks theme at Allsorts was for me, but I have done my best to come up with something half decent for Wendy's theme of Baby Baby. 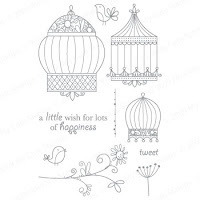 Our sponsor this week is Whiff of Joy so every reason to join in for a really great opportunity to win one of their lovely stamps. I have to admit that baby cards along with wedding and the like really do put the frighteners on me, mainly because most of the suitable stamps require colouring in which is right outside my comfort zone, but that is I guess what a challenge is all about. I initially made the card below for the theme but was not really happy with it so the one above is a last minute addition after seeing the sweet baby images on Ignacio's Nicecrane web site and thinking this particular one would go very well with some Graphic 45 Secret Garden DP's and some silk ribbon in my stash which I used to make the flower. So here it is along with several Spellbinders, Cheery Lynn and Memory Box dies. And this is the original make using a really old stamp from Stamp Happens happen which I coloured with watercolours, done a bit of matting and layering and used a piece of Nitwits DP to carry the colours, fairly simple stuff. Morning Peeps, thought I had better do a quick post before work and share my mid month inspirational pieces for FlonzCraft Vintage Stamping Challenges. There is a fabulous $20 store spend to be won so I really hope you will join in this months challenge. The one above is my take on this months theme of 'From the Garden', I love all the FlonzCraft elegant fashion ladies from the collection but I think this is one of my favourites. I have paper pieced the dress of the lady on the left and created a garden scene using Flonz blossoms across the top and grounded them with some cobblestones and a few flowers and pots. The sky and background was all done with Pan Pastels. This second piece is a bit of a late runner as it was by second piece for the 'Wings and Things' August theme and should have been posted when we were on holiday but afraid I forgot. Quite a simple make using some DP's from stash and FlonzCraft butterflies from a trio set which I stamped onto coordinating DP, shaped the leading edge round the pattern and popped some lace behind. Good Morning Peeps, hope your weekend was good. 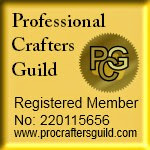 Before I move onto my shares of the day I have a little bit of news which one or two of the eagle eyed amongst you have already noticed from the companies web site and that is I am now a member of the Prickly Pear Design Team. When I was asked if I would consider joining the team I was initially a little unsure as I often struggle with the computer and commenting etc., but there is no challenge involved, just creating with their fabulous products for display and promotional purposes. So my answer was yes and I feel very honoured to have been invited to be part of their talented team and will be sharing some makes with you very soon. Now for a bit of Halloween and some of Ignacios Nicecrane latest releases and he has enhanced my photos with a bit of his magic and I think it really makes them pop and adds a bit more of an eerie feel as well. The top piece is a tag which I cut on the Cricut, inked with distress inks Ripe Persimonne and Black Soot, some random background stamping with Chocolate Baroque stamps, the image from the sheet and a Sizzix TH tattered floral and leaves from the tattered pinecone die. 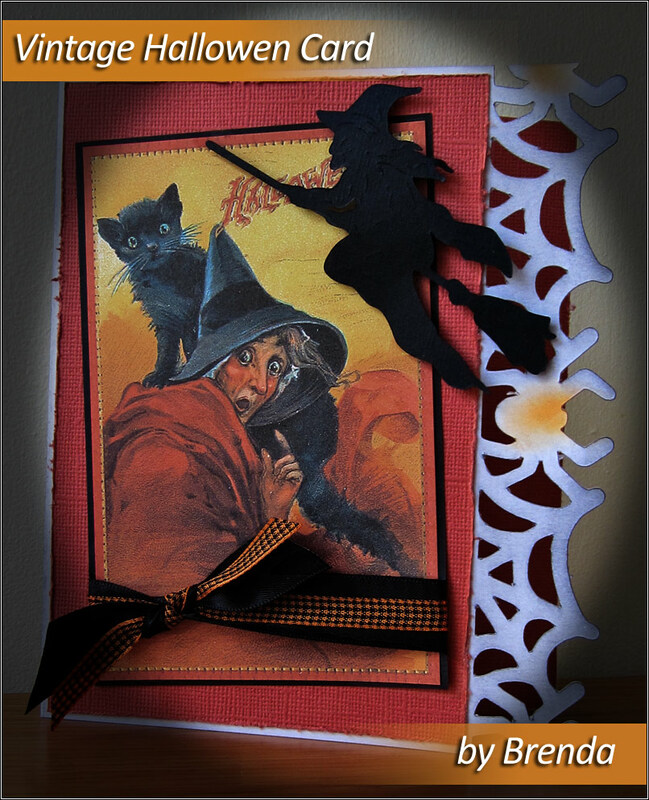 My second piece is a card using another of the Halloween image sheets and the base card with the spiders web edge was cut on the cricut using the Ribbons and Rosettes cartridge and some Pan Pastels used to colour it and the original wicked witch across the top is from the Autumn Celebrations cartridge. Our lovely Tracy Mouse is our host at Allsorts this week and would like to see butterflies featuring on our work so a theme I really love. Our sponsors this week are DigiStamp and FlonzCraft. Two cards for me, the first using several stamps from one of our sponsors FlonzCraft, etched rose, butterfly corner and butterfly trio stamped onto a background of Dylusions Turquoise and Purple, a spritz of pearl glimmer mist then bleached out here and there. I added a little gold embossing to the rose and butterfly, the finally some lace and cord and two sentiment from Stamp Addicts Dream set. And for my second card I started by masking the reverse side of a piece of centura pearl cardstock then adding distress inks mowed grass, peeled paint and olive to about three quarters of the area then spritzing with water..............dependent on how much water you add it might ooze under the edges of the masking tape as mine did but I thinks this adds a bit more interest. With the tape still in place I stamped the grasses using the same inks, then removed the tape and stamped the Penny Black butterflies, a little branch and added a birdie as well. Good Morning all my crafty Peeps, hope your week is going OK and I know lots of you have quieter houses this week here in the UK with the schools starting back for the Autumn term. 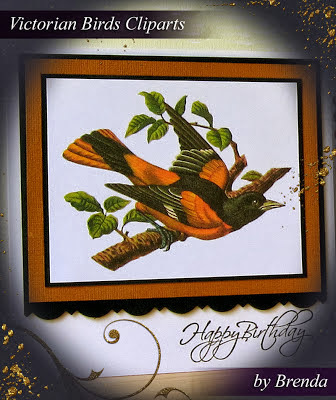 I thought I would share a couple more of the cards I have created using Ignacio's Nicecrane images which I am thoroughly enjoying working with. 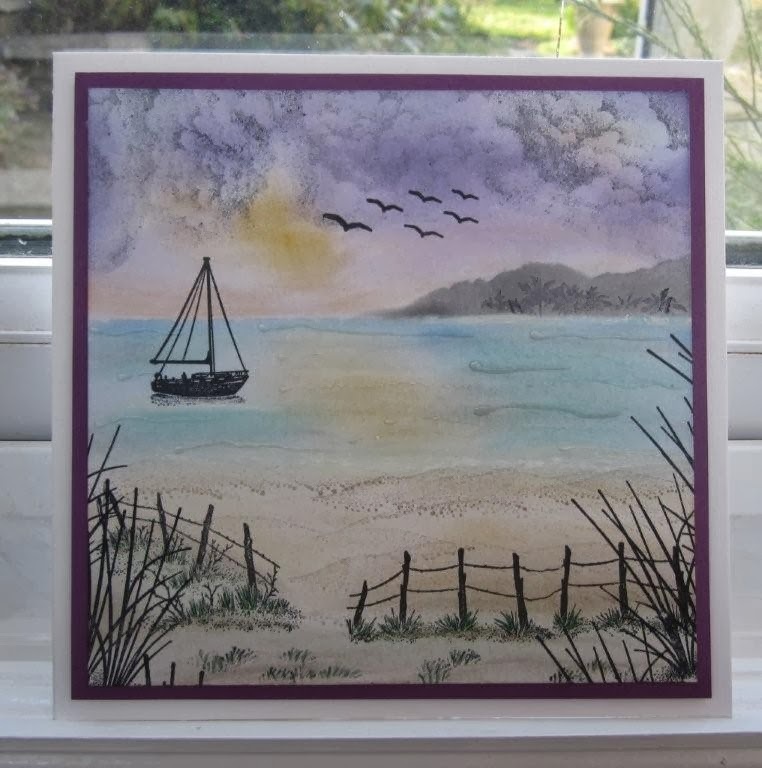 I must admit that I wasn't sure at first as I always have this feeling if a card is not stamped then I've not really done my work properly, but I take all that back because this new style of crafting........new for me that is, is a sheer delight. And of course much of that comes from the quality and style of Ignacio's products. 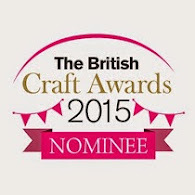 So if it's a style of crafting you have never tries, then I urge you to give it a go. 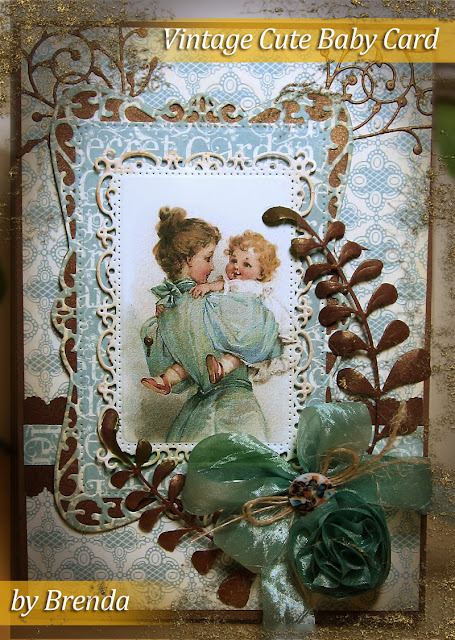 The card at the top used an image from the Victorian Young Ladies image sets - links to all at the bottom, a background stamped with a Hero Arts script stamp......I got some stamping in you see........ a Spellbinder frame and flowers made using Tonic's punch and stamp Rose set. The second card and my second Christmas card for the year.................at this rate of one I week I should be ready for Christmas in a few years time uses the adorable image Frame It by Kate Greenaway images just very simply matted up and embellished with some ribbon, poinsettias and holly. Morning Peeps, time for our new challenge at FlonzCraft Vintage Stamping Challenges and this month it's all about gardens, we would like to see 'Anything from your Garden', right up my street this one. I have used one of the FlonzCraft corner stamps, cutting out just the flower heads and butterfly which was coloured with watercolour pencils and decoupaged. The heart is cut from some reclaimed corrugated and embossed with Frantage round the edges, some lace, seam binding and button and the DP is Bo Bunny. 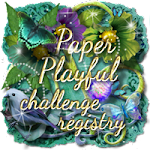 I really hope you will join in our challenge this month, there is a $20 spending voucher for FlonzCraft stamps to be won. Thanks for popping in and see you all on my rounds. Morning to you all, time for new challenges at Penny Black and More and Stamping Sensations where we have the themes of a sketch with the option of Autumnal colours and 'Poppy Inspired'. I used an old favourite Penny Black image for my card above inking the stamp with distress markers then adding some random script around the edges.......I find if you use an unmounted stamp for this and just hold it in your hands to ink and bend as you stamp you can get background where you want it without the need to mask the image. The DP's are sold old ones which I think are Bo Bunny and the panel is cut from some recycled corrugated. My poppy piece uses another favourite Penny Black image which I coloured with Pan Pastels, again adding some random text to the background in the same way as the card above, a Penny Black sentiment and ribbons. Apologies my post is a bit short and sweet and my comments similar but the body's on go slow again and typing difficult.